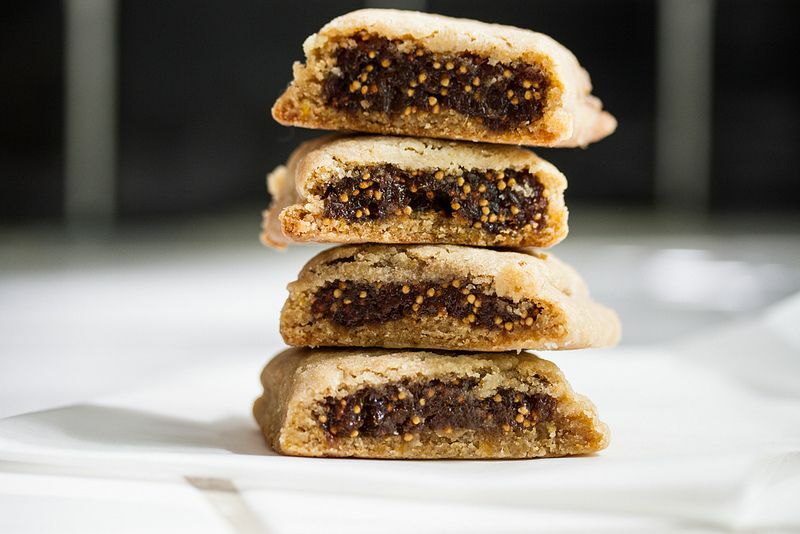 Today: Megan Scott of The Joy Kitchen is returning to childhood and remaking Fig Newtons the way they always should have been. This recipe grew out of a need to satisfy cravings for my favorite childhood cookie. I knew that if I went to the store and simply bought a package of Fig Newtons, I would probably be disappointed, as taste memories always seem to be more vibrant than the food that inspired them. But I had a hunch that homemade Fig Newtons might just live up to my nostalgia-fueled expectations -- and boy, did they ever. Soft and slightly chewy with the pleasant pop of tiny fig seeds in the filling, these figgy lovelies manage not only to outshine the cookie that inspired them, but they're also good enough to make new memories. 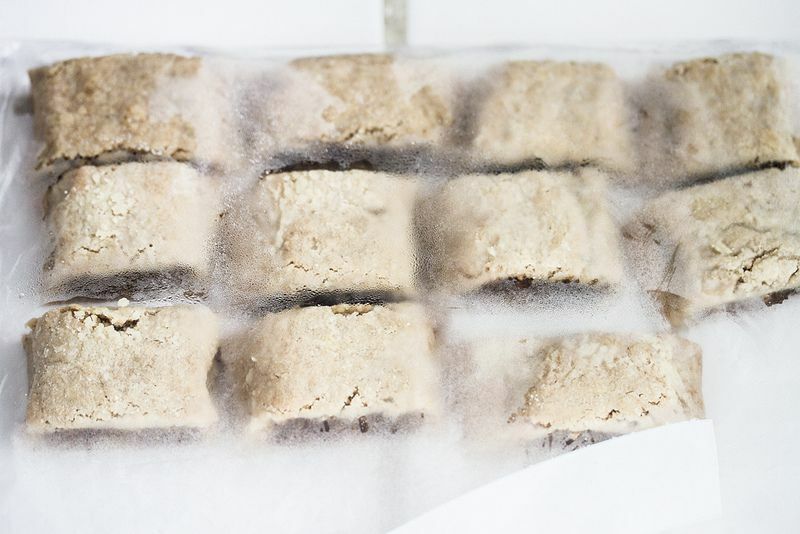 The idea to "steam" the cookies in a plastic bag comes from the lovely BraveTart of Serious Eats renown. May we all aspire to be as ingenious. Meanwhile, make the filling. Combine the figs and water in a medium saucepan. Bring the water to a boil, cover, and allow the water to boil until the figs have absorbed it. Transfer the figs to a food processor and pulse until the mixture is completely smooth. Preheat the oven to 325? F. Place a large piece of parchment on your work surface and flour it liberally. Divide the chilled dough into 4 pieces, place one piece on the parchment, and return the other 3 to the refrigerator. 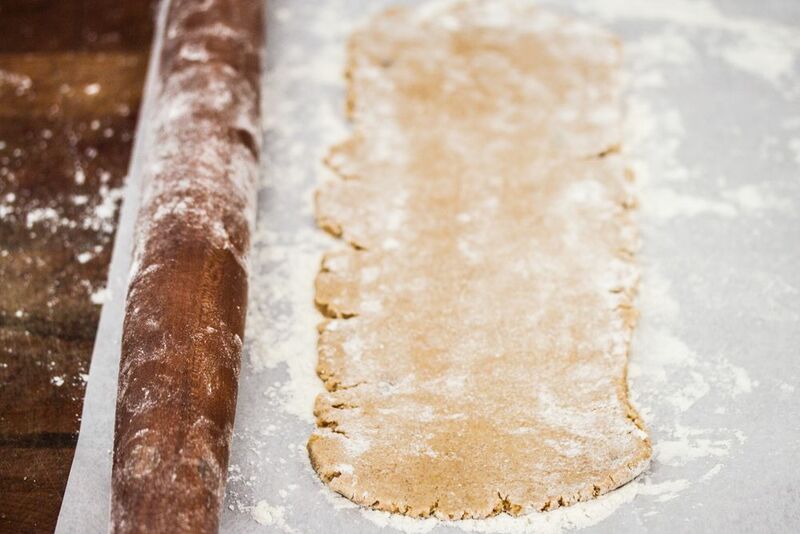 Shape the piece of dough into a rectangle, then roll the dough, stopping frequently to make sure it isn't sticking to the parchment, into a long rectangle (about 4 inches wide by 12 inches long). 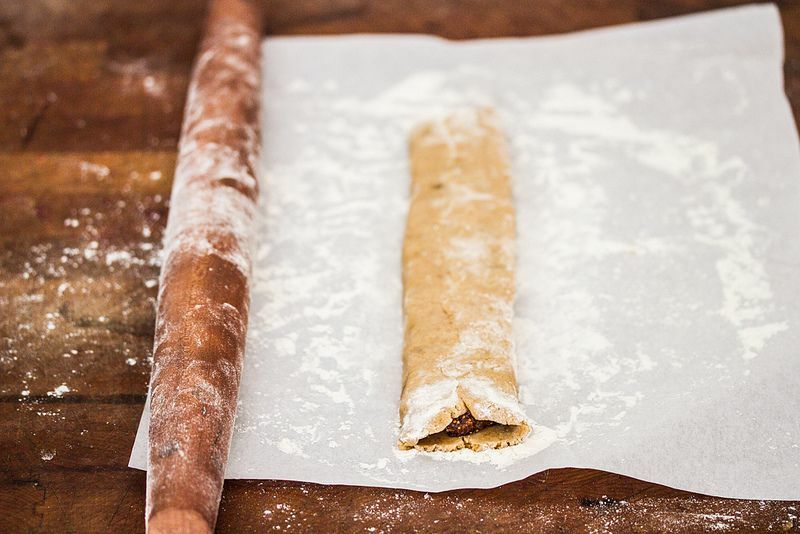 Be vigilant about lifting and reflouring the dough as you roll to prevent sticking. 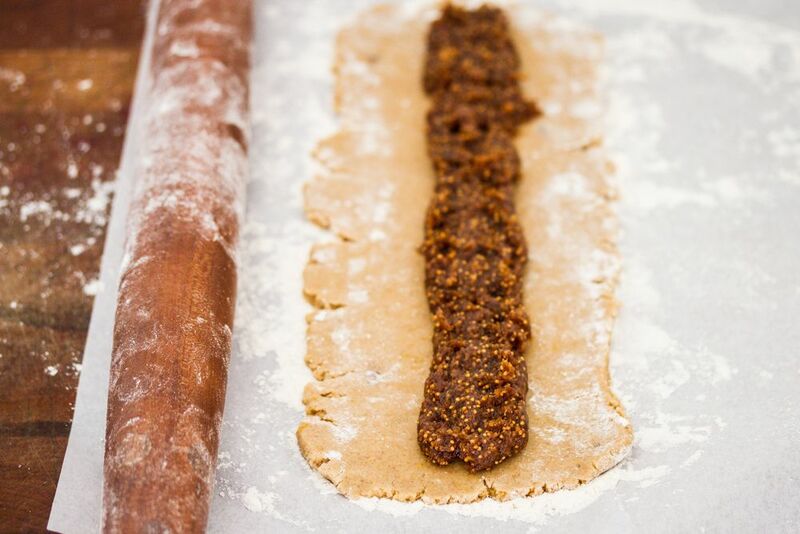 Scoop the fig filling into a pastry bag or a plastic zip-top bag with one corner cut off. Pipe the filling in a 1-inch strip down the center of the dough rectangle. Fold one side of the dough over the filling, then the other. Press down on the seam to close it. While the cookie rolls are still warm, cut them into 1 1/2- to 2-inch cookies. Immediately place the cookies in a single layer inside a plastic zip-top bag and close the bag. This seems counterintuitive, but in order to keep the cookies soft, like the real thing, they need to steam. Cool the cookies completely. Remove them from the bags and place in an airtight container. They can be kept, at room temperature, for up to 2 weeks. A southern girl with a globetrotting palate, I work alongside my husband John Becker to update and maintain the Joy of Cooking cookbook, website, and app. I love to bake, ferment, and preserve, and I spend an inordinate amount of time perusing farmers markets and daydreaming about chickens and goats. Since fresh figs have so much moisture couldn't you just reduce or eliminate the water while puréeing them? Could you have mismeasured your butter? Maybe used 1 1/2 sticks of butter instead of the unusual amount of 1 1/4 sticks? You sound like me! I've always loved The Joy of Cooking cookbook. It's how my Grandma learned to cook "American." I am gluten free but I think almond flour will work just fine althouhg they may not be as chewy. FNs wre always my favoritee cookie. Love figs! I tried the steaming after baking step, but didn't care for the spongy quality it gave the cookie dough. Tried without the steaming step - tender and delicious. I've used this recipe several times now, and I love how the fig newtons turn out each time. Everyone always compliments them when I make them. I don't live in the US anymore, so fig newtons are hard to come by. I was happy when I saw this recipe and tried it. This is a thousand times better than the store-bought version in the US. I modified it just a little to suit my family's taste (a little less sugar, added some whole-wheat flour, added crushed walnuts, etc.). I always make a lot at once and then freeze the final product for use at a later date. Thanks for the great recipe! Not that hard to make, but for me, not worth it. You would be better off with Fig Newmans or some other natural brand. Ah, had some Orange marmalade in the fridge, added a touch more flour to make up for the extra moisture...turned out great! This sounds great except for the step involving putting them into a plastic bag. I am sure that you could use a glass container of some type and avoid steeping your fresh cookies in plastic byproducts. Awesome recipe thank you. Wild anyone know if fresh figs off the tree can be used and it what quantity? Maybe weigh the dried figs and half cup water, and then match that weight with fresh figs? Or are the dried figs a must? Reason I ask is I have a huge fig tree that produces hundreds at a harvest and these would be a great neighborly gift. Excuse the typos please. I-pad. Fresh figs are juicy and succulent. If you baked the fresh figs you might end up with figgy syrup in your pan and soggy cookies. If you have such and abundant harvest, you might consider home drying them for enjoyment through the year. Much better than any figs you can buy. Could I use wheat flour? I just made these and they're wonderful! They manage to capture the original taste and texture while significantly improving on both--thanks for the great recipe! It would be great if you could do your recipes in a video. This way we can see exactly how you do things. Just a thought...love the recipe. These look like the ones from the Metropolitan Bakery Cookbook -- so good! Fig newtons were my absolute favorite. Can't wait to find an excuse to make these. These are on my list to make. I love fig newtons! looks so beautiful! i love a project, this seem to fit the bill… just learned the baggie trick from my aunt's brown irish soda bread, so excited to see another recipe with it the same week!